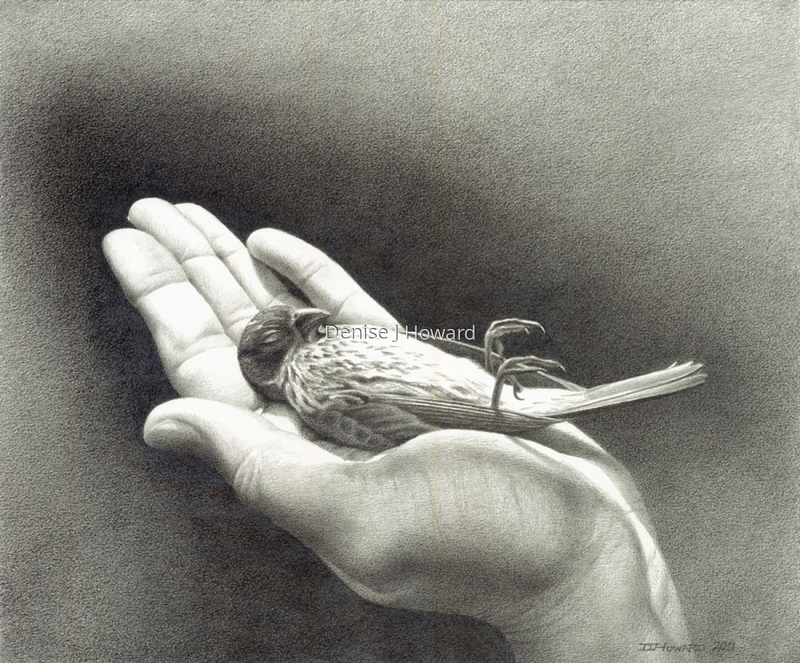 "Once a sparrow died in my hand. A female finch hit my studio window. She was still quivering when I picked her up, and she died in my hand. As the sunlight fell across her tiny body, I felt like I had just witnessed an ascension. I had to draw it. Graphite on drawing paper. 2D Best in Show, Coastal Arts League's Annual Juried Show, Half Moon Bay, CA, 2011. Award of Excellence, California Fine Art exhibition, California State Fair, 2012. 5" x 6"10" x 12.125"15" x 18.125"